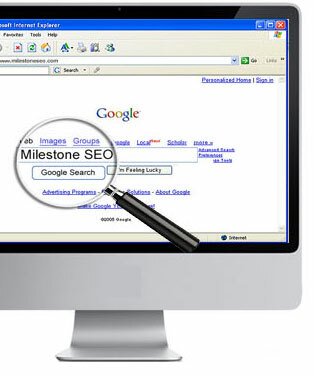 Milestone SEO was born from 911 Restoration and built to generate real business for real people. 911 Restoration found its niche in the disaster recovery industry by using the power of the internet to consumers. Milestone SEO was founded initially to be 911 Restoration’s internet marketing engine. Under the leadership of Miri Offir, Milestone SEO powered 911 Restoration’s transformation from a single location water damage and restoration company in Van Nuys, California to a nationwide franchise. How? By combining marketing techniques like PPC and SEO into one cohesive strategy for every franchisee. Companies are like people. Sooner or later a person must define their own mission in life. They must give their lives meaning and purpose. Companies also need a meaning, a mission, and a purpose. The success of 911 Restoration gave Milestone SEO its purpose. America is filled with little dreams. The remodeling company that someone started with their life’s savings. The Mom and Pop Roofing Company that someone started because they dreamed of owning their own business. The local locksmith who works seven days a week to feed his family. Every day these little dreams struggle to survive. But what if they didn’t have to struggle? What if they didn’t have to struggle? What if there was a way for those little dreams to thrive and grow into big dreams? Milestone SEO had a way. Connect small businesses to the internet and effective internet marketing. We could generate hundreds of leads a month for small businesses, we could add significant value to small companies, we could take a struggling business and help it thrive. Milestone SEO currently works with a broad spectrum of clients to help them grow and achieve their goals.